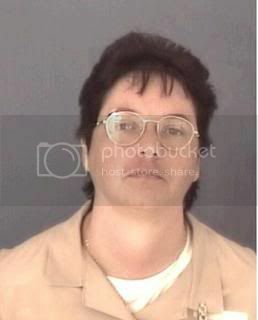 Gissendaner was convicted in 1998 of recruiting her lover to kill her husband, Doug Gissendaner, 30, on February 7, 1997. Her boyfriend, Gregory Owen, testified against her as part of a plea bargain that landed him a life sentence but spared him from the death penalty. Kelly Renee Gissendaner was convicted of the malice murder of her husband, Douglas Morgan Gissendaner. 1 The jury fixed Gissendaner's sentence at death, finding as statutory aggravating circumstances that the murder was committed during the commission of kidnapping with bodily injury, a capital felony, and that Gissendaner caused or directed another to commit the murder. OCGA 17-10-30 (b) (2) and (6). For the reasons set forth below, we affirm both the conviction and the death sentence. 1. Gissendaner and the victim had been married, divorced, remarried, separated, and reunited between 1989 and 1997. Ms. Gissendaner was in a relationship with Gregory Bruce Owen and at one point stated to a co-worker that she was unhappy with her husband and in love with Owen. Prior to Gissendaner's trial, Owen entered an agreement not to seek parole within 25 years, pled guilty, and received a sentence of life in prison. Owen testified at Gissendaner's trial that it was she who first raised the idea of murder and that she later raised the idea again several other times. Owen suggested divorce as an alternative, but Gissendaner insisted upon murder because she believed she would receive insurance money from her husband's death and because she believed he "wouldn't leave [her] alone by just divorcing him." Gissendaner had previously stated to Owen's sister that she intended to use the victim's credit to get a house and then "get rid of him." During the days leading up to the murder, Gissendaner made 47 telephone calls to Owens and paged him 18 times. Telephone records also showed that the pair were together at a bank of payphones several hours before the murder. On the evening of February 7, 1997, Gissendaner drove Owen to her family's home, gave him a nightstick and a large knife, and left him inside the home to wait for the victim. Gissendaner then drove to a friend's house, and, upon Gissendaner's insistence that the group keep their plans for the evening, she and her friends went out to a nightclub. The victim arrived home shortly after 10:00 p.m. Owen confronted the victim from behind, held a knife to his throat, forced him to drive to a remote location, forced him to walk into the woods and kneel, and then killed him by striking him with the nightstick and then stabbing him repeatedly in the back and neck with the knife. As instructed by Gissendaner, Owen took the victim's watch and wedding ring before killing him to make the murder appear like a robbery. Gissendaner returned home from the nightclub at about the time the murder was being carried out, paged Owen with a numeric signal, and then drove to the crime scene. After inquiring if her husband was dead, she took a flashlight and went toward the body to inspect it. Owen burned the victim's automobile with kerosene provided by Gissendaner, and the pair returned to their respective homes in Gissendaner's automobile. Owen disposed of the nightstick, the knife, a pair of his own jeans, and the victim's stolen jewelry by placing them in the garbage. A pair of Owen's sweat pants also worn on the night of the murder was recovered, however, and DNA analysis of blood found on them showed a likely match with the victim's and Owen's blood. After the murder, Gissendaner concealed her relationship with Owen from police and claimed not to have initiated contact with him for some time. Telephone records, Owen's testimony, and other witness testimony proved otherwise. After her arrest, Gissendaner called her best friend and confessed to her active and willing role in the murder, although she then called a second time and claimed that she was coerced into participating. Gissendaner wrote a letter while in jail in an effort to hire someone to give perjured testimony and to rob and beat witnesses. A Gwinnett judge issued an execution order Thursday for the state's only female death row inmate. Kelly Renee Gissendaner is scheduled to be put to death between Jan. 8 and Jan. 15, according to the order from Superior Court Judge Homer Stark. However, that execution date will probably be delayed for years as defense attorneys continue appealing to the U.S. Supreme Court, District Attorney Danny Porter said. The order was issued because previous appeals at the state level have been rejected and there are no current appeals in place, Porter said. "This will result in an immediate appeal," Porter said. But with a January execution date set, that gives the defense a timetable in which to file the next appeal, which keeps the case moving forward, the prosecutor said. 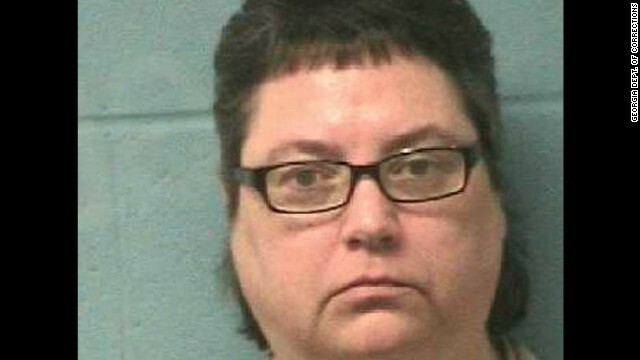 Gissendaner was convicted in 1998 of recruiting her lover to kill her husband, Doug Gissendaner, 30. Her boyfriend, Gregory Owen, testified against her as part of a plea bargain that landed him a life sentence but spared him from the death penalty. Prosecutors said Gissendaner, a mother of three from Auburn, wanted her husband dead so she could profit from two $10,000 life insurance policies and the couple's $84,000 house. She dropped off Owen at her Auburn house before going out with friends on Feb. 7, 1997. Owen surprised 30-year-old Doug Gissendaner and forced him at knifepoint to drive to a remote area in eastern Gwinnett near the Walton County line. Owen forced the victim to walk 100 yards into the woods and get down on his knees. He beat him in the head with a nightstick, stabbed him in the neck and back several times and left. The wife later helped her boyfriend set the car on fire to destroy evidence. The Georgia Supreme Court upheld Gissendaner's murder conviction and death sentence in July 2000. On January 9, 2009, Gissendaner filed a habeas petition in Federal District Court. On March 21, 2012, Gissendaner's habeas petition was DENIED in Federal District Court. On June 6, 2012, Gissendaner's motion to alter the judgment was DENIED in Federal District Court. Crime victims were able to share their stories and express how crimes have impacted their lives with the State Board of Pardons and Paroles during the Victims Visitors� Day on Thursday in Lawrenceville. Since 2006, 17 victim�s days across Georgia have given more than 1,600 crime victims the opportunity to discuss their concerns with parole board members and staff and to learn the parole status of offenders. One of the crimes that the parole board heard about was the murder of Doug Gissendaner. Gissendaner�s sister and father were there in his honor. �My brother Doug was kidnapped from his house and stabbed,� said Jennifer Bolling. His wife, Kelly Gissendaner, was convicted in 1998 for recruiting her lover to kill her husband. On Feb. 7, 1997, she took Gregory Owens to her family home where he confronted her husband from behind, held a knife to his throat, forced him to drive to an unknown location, struck him with a nightstick and then stabbed him repeatedly in the back and neck with a knife. Kelly Gissendaner is currently on death row and Owens is serving life in prison. �We want to let victims know that their situations are important, and we want to help them deal with their circumstance by demonstrating sensitivity, accessibility and holding the person accountable for the crime committed,� said Board Chairman Albert Murray. There are five parole board members who are appointed by the governor. The parole board has the power to grant parole, pardons and different forms of clemency. The federal appeals court in Atlanta on Tuesday upheld the capital sentence against the only woman on Georgia’s death row. The 11th U.S. Circuit Court of Appeals rejected all claims raised by Kelly Gissendaner, who talked her lover into killing her husband, Douglas Gissendaner, for insurance money. Gregory Bruce Owen, who testified in exchange for a life sentence, said he forced Gissendaner to a remote, wooded location before beating and stabbing him. Owen said he took Gissendaner’s watch and wedding ring to try and make the 1997 murder look like it was part of a robbery. On January 21, 2014, the US Court of Appeals for the Eleventh Circuit DENIED Gissendaner's petition for rehearing en banc. In today's orders, the US Supreme Court DENIED Gissendaner's certiorari petition. Appeals exhausted. Ruling could result in an execution date. Why is it taking so long to set a date for her if she has exhausted appeals?